Process driven website development services that will help you to ensure your success. NTSPL Hosting has an excellent team of website development professionals who are experienced enough to develop customised websites of any complexity. We provide end to end solutions from front-end programming to backend programming and maintenance at our Bhubaneswar Website development center. Our team uses latest technologies and industry trends to develop your websites in order to give you the best. In Bhubaneswar NTSPL Hosting is the reputable and reliable “one-stop” vendor to realize your most ambitious and complex website development projects. NTSPL Hosting is a ‘Microsoft Silver Application Development Partner, ISO 9001-2015 and 27001-2013 Certified company and registered IT company at STPI Bhubaneswar. We understand how it is important for you to choose a trustworthy partner that understands your problems and knows how to solve them. We are here to make your choice easy. Moreover, we always try to look at your enterprise from the viewpoint of your customers. 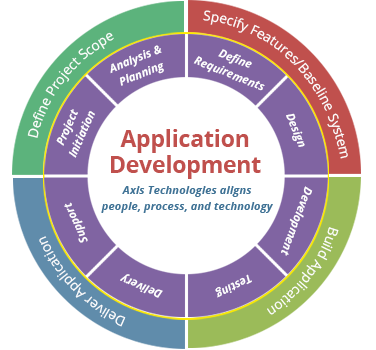 At NTSPL Hosting we are following a systematic development process, which includes our specific frameworks, methodologies, modeling tools and languages to deliver successful application for our customers. As an industry practice, the software development life-cycle adheres to certain set standards which our development team is following to stay on track with respect to timelines and quality control.